With upcoming winters, wedding season would start in Pakistan. I'm thrilled and very excited because I have already lost tons of weight so now I can wear all desired dresses those I always dreamed to wear. Besides Fancy dresses I love wearing high heels with matching hand clutches. 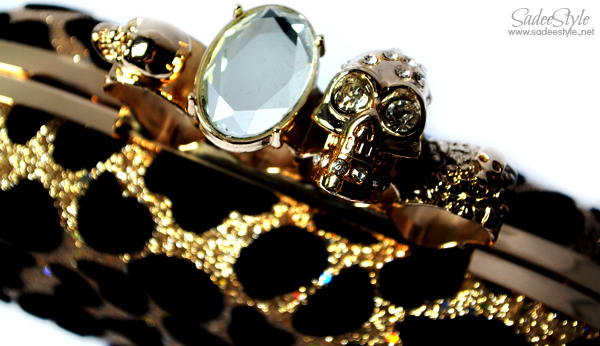 If you remember I reviewed a Skull Rings Solid Silver Clutch Evening Bag though I'm not a fan of skulls structured clutches, but I really loved the classy look of the clutch and now I was looking something in golden shade. I always prefer gold on silver. When majority of girls are crazy about silver I always fell for gold. However I spotted this beautiful clutch at Persunmall. At first glance it was'n very impressive or attractive, but once it reached to me i was amazed with the blings. Shipping was free, but took so long to arrive. I needed a golden metal clutch. While I appreciate the blings but not a fan or animal prints. The leopard pattern is made with soft embossed velvet texture. Glitters and velvet patches look great together. Beautifully and well made metal clutch is very suitable for wedding and party occasions. It makes me to start liking the animal prints. It’s actually kind of cool, and more than enough to sway me over to the wild side for a little while. I could not have found a more perfect accessories for the wedding parties I'm attending in winter. It comes with a right size and space inside the clutch is wide enough to carry mobile and my lipstick, mascara at a time. I simple love it. It's very adorable, beautiful and super classy. 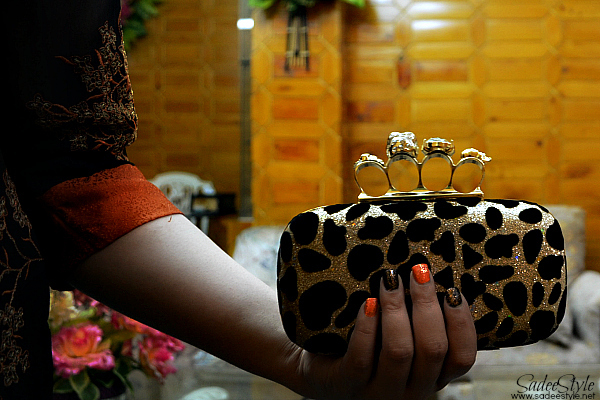 You can visit Persunmall for ordering casual, party dresses, high heels and wedding clutches. I't comes up with stunning quality. Great value for money. omg its sooooooo beautiful! honestly skulls kinda freak me out but those skulls arent so noticable so its okay i guess!! Wow! 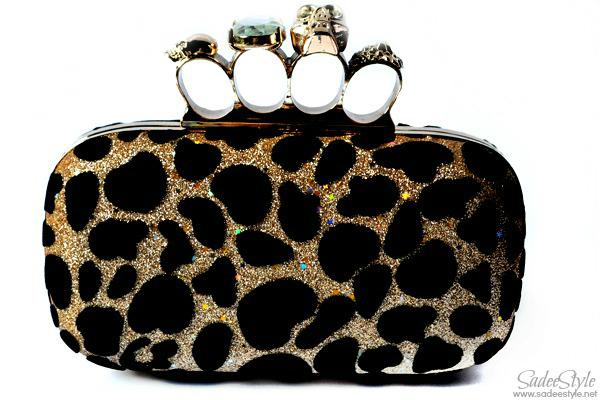 perfect for wedding parties..
so nice:) this clutch is divine! i like your blog, I really enjoy reading it. what do you think about following each other? wish you a fantastic sunday, dear! !